Nokia is expected to launch a number of entry-level devices including both Windows Phone-based affordable smartphones and feature phones in just a couple of days at Mobile World Congress, according to Reuters. Nokia has allegedly decided to widen its presence in the low range amidst intensifying competition from Chinese manufacturers like Huawei and ZTE. These rumors come after we have already heard other sources agreeing Nokia will launch a new Windows Phone flagship named Nokia EOS, a device packing the amazing PureView phase one technology that we’ve seen in the Nokia 808 PureView. The upcoming affordable models will diversify Nokia’s porftolio and show that the company is now ready to look at the bigger picture after two tough transitional years the company spent laser-focused on bringing a competitive Windows Phone flagship. There are no further details about those upcoming entry-level devices, but we expect even more of the successful Asha feature phone series. Nokia sold a record 4.4 million Lumia smartphones in the last quarter of 2012, a one bright spot in an otherwise very turbulent Windows Phone ride which has put the company in the red this year. Still, Nokia would need to start much more than that in order to get noticed. Samsung in comparison sold around 50 million smartphones in Q4 2012 and Apple sold a whopping 48 million of its high-margin iPhone. go nokia go..also want to see tablet..goodluck!. NOKIA is badly struggling. Samsung & Apple are like out of reach for NOKIA. Nokia was out of reach of Apple some years ago, and that will happen again sooner than latter, just because Nokia at this moment is much more innovative than Apple. At this moment Nokia (with all the range of phones) is selling more than Apple. In a few months the Lumia line alone will surpass Apple. Take this words for granted. I'll give you an example (one retailer from Russia): Android OS (67.2%) Samsung’s bada (8%) Nokia’s Asha (7.7%) Apple’s IOS (6.9%) Windows Phone (5.9%) Nokia’s Symbian (3.6%) Wait a few month for data from India, Brasil, Mexico and the entire Europe. I think you just forget Pakistan :) here Lumia specially 620 selling well .. which still isn't available in India..!!! Oh, I was there my friend. I had to code LaTeX on an iMac... Apple's first foray into their new Mac OS X products. Then the iPod came out, and redefined the MP3 player altogether. Yeah... I was there back then, man! Cool story, huh? Hopefully, Nokia can come back to the top by these new series. Wish you very very good luck, you are the best Phone's manufacturer company in the phone history. Thanks Nokia for this huge favor. This is cult! Nokia zombies! EXACTLY WHAT I WAS THINKING... ... A post by Victor H.. Not surprising..
Johnnokia is reported by Victor. H for no reason. Is there anyone know how can we call Phonearena Adminstration? Always welcome to see phones available in every aspect. 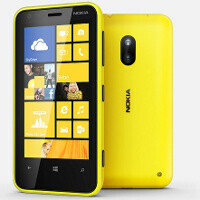 I expect Nokia to increase volume, especially with the Lumia 620 becoming available in more countries. People should give the Lumia range a chance, it has really shaped into something very nice.